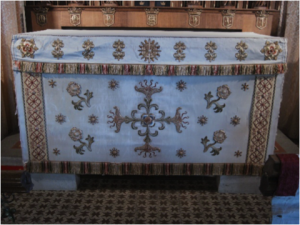 This summer, by kind permission of the Diocese of Oxford and the PCC work begins to remount the embroideries of the beautiful white altar frontal. The work is being carried out by Elizabeth Bond, Kingsey resident and graduate of the Royal School of Needlework. Everyone is welcome to visit the church and see the work in progress on the following dates between 11am and 5pm. We will also be serving great refreshments. If you would like to book a private individual or group visit on a different day, please contact Elizabeth. 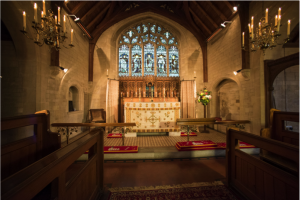 The small fee for this includes refreshments and a talk about the history of the church.